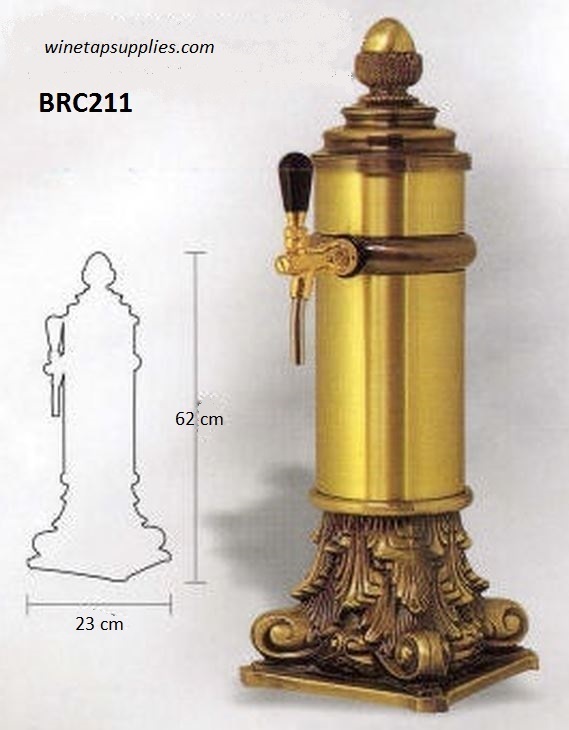 Original and Exclusive Wine and Beer Dispensing Brass Columns and Towers : We are currently introducing a range of Artisan crafted Wine and Beer dispensing towers and columns made from Brass. These unique, hard to find Draft Wine and Beer dispensers come in various designs, widths and customizable heights and possible finishes. The hard to find Dispensing columns and towers have been installed at Casinos, Cruise liners, high end hotels, restaurants and exclusive bars. ABOVE & BELOW: Our decorative beer and wine tower dispensers are customizable. There are two different bases and column diameters which can come in different finishes and heights as required. Even though identical, every column would be unique cause these columns are artisan made and require 4 to 6 weeks to have them ready as per your custom specifications. 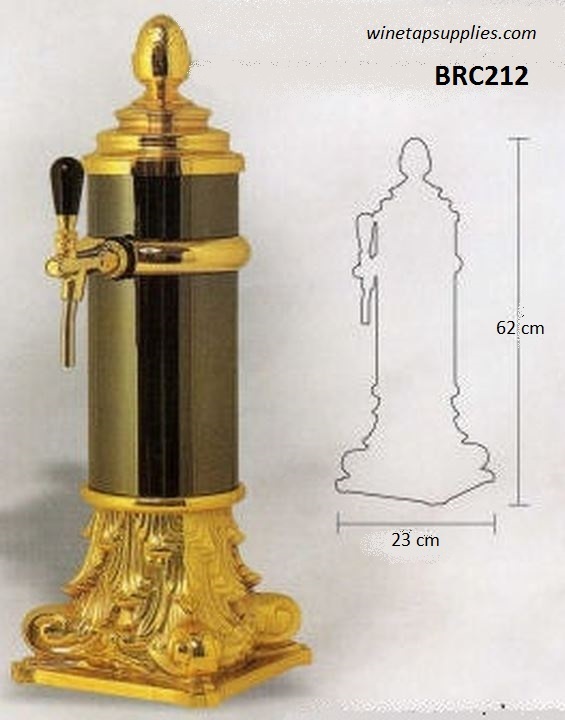 Sample, Trade and Non Trade Orders: Our Brass made Brass, Ornamental Wine and Beer Dispensing Towers and Columns are only available by custom order and can take a number of weeks to be readied but can be supplied Internationally in any number as we do not carry any minimum order requirement.